Learning how to invest your money wisely is one of the most important things you can do to create an awesome future for you and your family. Saving and investing your hard earned money over a long period of time allows the power of compound interest work its wondrous magic! When you learn how to do it right, you’ll become exponentially wealthier than if you had stuck your money in a savings account or under your mattress. But if you’re like most people, you don’t really know the basics of how to invest your money wisely to get the best return possible. In my experience, the average person is woefully undereducated about investing. That’s why I decided to write a comprehensive article covering some of the basics of investing your money wisely. In this article I’ll cover some of the basic principles of how to invest your money wisely, along with some recommended resources to help you get a deeper understanding on the subject. Once you get a feel for these basics, you’ll be able to confidently grow your money from a small nest egg to a large chunk of wealth over your lifetime! 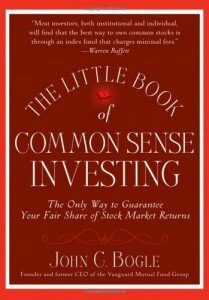 Read “The Little Book of Common Sense Investing” to learn even more! Obviously, the reason you invest your money is so it can grow over time. Trying to achieve fast growth is a recipe for disaster. Any time you try to get a large amount of growth in a short period of time, you’re increasing your risk. The more risky the investment, the more likely you are to lose money. Investing your money wisely means you should gravitate toward investments that will grow steadily over time. Just like in the tale of the turtle and the hare, slow and steady wins the race! Albert Einstein once said “compound interest is the most powerful force in the universe”. Any wise investment should be able to harness the power of compound interest to grow exponentially over time. Exponential growth is many times more powerful than linear growth for building wealth. Let’s say you save $100 every month for many years and you stuff it under your mattress. After 20 years of stuffing Benjamins under your Serta Perfect Sleeper, you’ll have $24,000. That’s linear growth. Exponential growth happens when you start adding interest into the mix. When you invest that same $100 a month while earning 10% interest on that money, after 20 years you will have $75,944. Now that’s a great way to invest your money wisely! As your investments grow over the years, they should help ease your mind about your future financial situation. Any wise investment should be able to provide you with a substantial income in your old age so that you don’t have to resort to relying on family, living on welfare, or depending on Social Security to get by (if it still exists at all by then). A wise investment should also provide you a measure of freedom that you otherwise wouldn’t have if you had never saved your money in the first place. Do you want to live on the beach when you retire? Travel the world? Spoil the grandkids rotten? Investing your money consistently and letting it grow using the power of compound interest will let you gain the freedom to live the life you want. Taxes are a very important consideration when investing your money. You should take every opportunity you legally have to reduce or avoid taxes so they don’t eat into your returns over the long haul. Not taking taxes into consideration can literally cost you hundreds of thousands of dollars over your lifetime if you’re not careful! Below are several ways to invest your money wisely while taking taxes into consideration. I listed them in order of best to worst as far as taxes are considered. If possible you should contribute money to a Roth account before you invest money anywhere else. Roth accounts come in a variety of flavors such as a Roth IRA, Roth 401k, Roth 403(b), or Roth 457(b). They may have different numbers but they all accomplish the same thing tax wise. When you contribute to a Roth account you’re investing money that is taxed the same year you contribute it. The advantage is that your contribution is allowed to grow exponentially in a Roth account, and when it’s time for retirement, you can make withdrawals from your account tax free. When you invest your money wisely in a Roth account, it will save you a ton of money in taxes during your retirement years when you’ll need those savings the most! Contributing to these plans should be next in line when investing your money. You can contribute to these plans with pre-tax money, which means you don’t have to pay taxes on the contribution when you make it. However, when it comes time to withdraw money from your account at retirement, you will have to pay income tax every time you make a withdrawal. The end result is that you pay more overall taxes than you would by using a Roth account. Invest your money wisely using these accounts only after contributing to a Roth account first. A taxable account is simply a regular investment account that isn’t held inside a special retirement account such as an IRA, 401k, etc. This is the least best of your options because there are absolutely no tax advantages to this type of account. The money you contribute is taxed as part of your normal income, and when it’s time to withdraw money from your account, you also pay taxes on the gains your investments made. To invest your money wisely, this is the last type of account you should consider, only after you’ve maxed out the other accounts above. 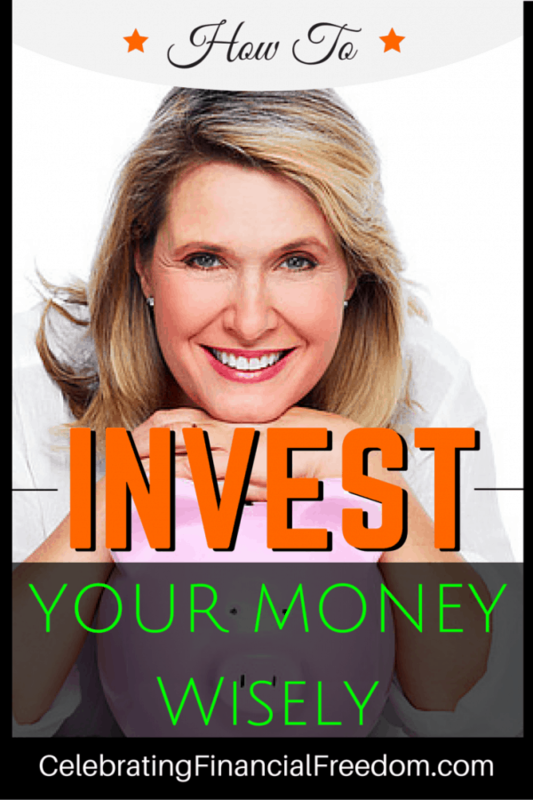 The absolute best thing you can do to invest your money wisely is to make your investing automatic. The easiest way to accomplish this is to have a set percentage (I recommend 15%) of your pay automatically deposited into your investment account from every paycheck. Why is Automatic Investing Important? This is important because investing your money wisely takes discipline. Let’s face it, if you rely on yourself to take money out of your paycheck and send it to investments every time you get paid, it’s likely you won’t keep up that habit for very long. However, when the contribution is automatically done for you, then you don’t have to rely on yourself to make the decision to save and invest every single time you get paid. You can think of automatic investing as being like a Roomba robotic vacuum cleaner. You don’t have to think about keeping your carpets clean because the Roomba does it for you every day automatically. It’s one less thing you have to do yourself and your floors still get clean. Any investment comes with a certain amount of risk. Even if you stuff money under your mattress there is a chance you can lose your money. To invest your money wisely, it’s very important to stay away from high risk investments that are just as likely to lose your money as they are to multiply it. These risky investments should probably only be handled by professional investors with plenty of experience. Everyday investors like you and me tend to get our butts handed to us by the pros when we invest in risky things. To invest your money wisely you should be much more conservative. The best way to invest your money wisely is to be conservative, but not too conservative. The best investments are a balance of risk and reward that allow you to grow your money exponentially over time with little risk of losing what you invested. I know these investments don’t sound that exciting, but over the long haul, these are the kinds of investments that will make you money and keep you from losing your shirt. A wise investment is usually boring and demands plenty of patience over many years to be successful. Just ask Warren Buffett, he became one of the world’s richest men by investing in some of the most boring industries on the planet! He is definitely proof that boring can be beautiful. 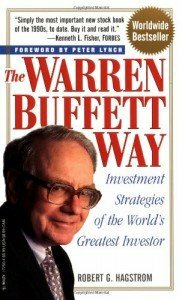 Here’s a great book about Warren Buffett’s investing philosophy that you can learn a lot from. One problem that many people have with investing is that they are too conservative. I see this frequently with people who are not totally sure what they should invest in. They have a tendency to just go with the safest investment they can find and bury their head in the sand. To invest your money wisely, you can’t be too conservative or you will lose money on the deal. Being too conservative means you will get little to no return on your money. When you let your hard earned money sit in an investment that earns very little (say 1-3%) it’s usually very safe; you’re not likely to lose money (but you sure won’t make any either!). When you earn such a low percentage on your money, you don’t even keep up with inflation. So even though your money grows a little bit, the buying power of that money actually stays the same or goes down. This is definitely not a good way to invest your money wisely! These options are good if you want to park your cash for a short time period (less than 5 years). But if you want your money to grow exponentially, these are not the investments you should be using. Anytime there is a salesperson involved in selling you a financial product, you can pretty much bet that it’s not a very smart investment. That’s usually because the salesman makes a commission for selling you the product, as well as an ongoing fee as long as you own that financial product. That’s rarely a good way to invest your money wisely. All those sales commissions and fees eat into your investment returns and never allow you to multiply your money as effectively as you could otherwise. Also, those investments are usually marketed to you as a “safe” investment with little risk. If somebody has to sell you an investment, you can bet it will cost you big time and is not a good way to invest your money wisely! There are so many financial gurus with TV shows, books, and courses that want you to believe investing should be exciting and risk free if you will just do it in whatever special way they want to sell you on. But that’s not how to invest your money wisely. I’ve always been a huge fan of keeping your investments simple. If you can’t explain how your investment works to another person so they can understand it perfectly, you probably should stay away from it. If someone tells you that you can beat the market by using this technique or that system, you’d better run. Those things almost never work, and when they do, they don’t work for long. Don’t be a sucker! By the way, many of these so called gurus that want to sell you their investing system want you to use debt to fund the investment. That’s a huge recipe for bankruptcy if you ask me. Stay away from those people! Investing should be a discipline where no emotion is involved. Always evaluate your investments with a cold, calculating eye toward making (and keeping) money. If you find yourself getting emotionally excited about an investment you want to make, take a step back. If you become emotionally attached to an investment you already have and are too hesitant to ditch it if it goes south, be careful. As I said above, investing your money wisely should be as boring as watching paint dry. Don’t check your investments every day. Check on them maybe once every quarter. Watching the day to day fluctuations in price will drive you crazy and tempt you to make an emotional decision that you will regret. Believe me, I know about this one from personal experience! All of the basic concepts above will serve you very well over your investing lifetime if you stick to them. Investing never has to be complicated in order to be successful. Do you have any favorite basic investing principles you’d like to share? Click on over to the CFF Facebook page and leave a comment with your fave!